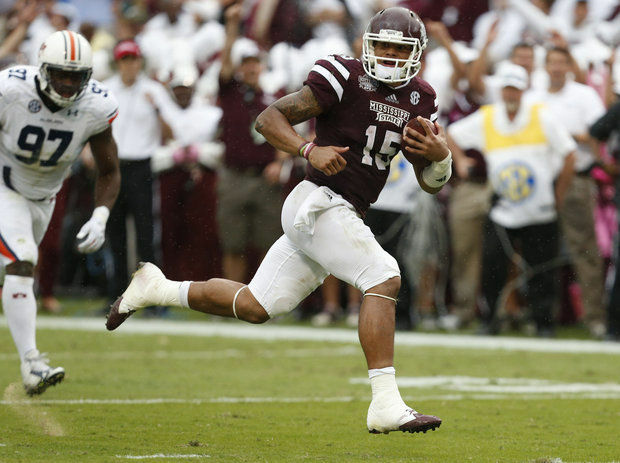 Dakota “Dak” Prescott is Mississippi State Football…BOOM! Seriously, he is. Prescott and wide receiver De’Runnya Wilson are two of only a select few remnants leftover from last season’s Orange Bowl team. A team that also happened to be the best in Bulldogs’ history. Dak generated plenty of Heisman buzz over the course of last season, and had it not been for a late season decline both in his play and in that of the team as a whole, he just might have won the most prestigious award college football has to offer. Prescott’s final line of 3,449 yards, 27 touchdowns and eleven interceptions with a 61.6% completion percentage is might impressive, but add that to his 986 yards and fourteen touchdowns on the ground and you have the definition of #dualthreat. Oh, and if it wasn’t already clear, Dak is the team’s leading returning passer and rusher, so yeah he’s kind of a big deal. De’Runnya Wilson and Fred Ross (a simple, but elegant name) give Dak a pair of reliable receiving threats on the outside and in the slot, respectively. At 6’5″, Wilson is a massive target who should give Prescott plenty of downfield and jump ball opportunities. Fred Ross isn’t exactly small either at 6’2″ and 200+ pounds, and is a contributor in the return game. 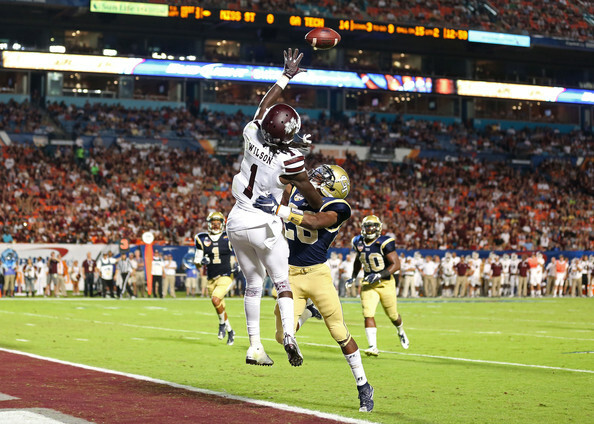 Another Fred, Fred Brown is expected to be the other outside receiver and see an expanded role in the offense this season after catching 18 passes for just shy of 300 yards last season. The first of two major concerns for this offense is a line that lost 114 career starts this offseason, including forty-six for the one of the SEC’s greatest wrestling heels: Dillon Day. LG Justin Malone and RT Justin Senior, who is confusingly a junior, are the lone members of this line with double-digit career starts. Devon Desper is the only other lineman with any starting experience and will start at right guard. Replacing the only guy who outrushed Dak, Josh Robinson, is the other major concern for the Bulldogs. Robinson rushed for 1,200+ yards and eleven touchdowns a season ago. His main replacements will be Ashton Shumpert and Brandon Holloway, both of whom put up good numbers on limited touches last season. 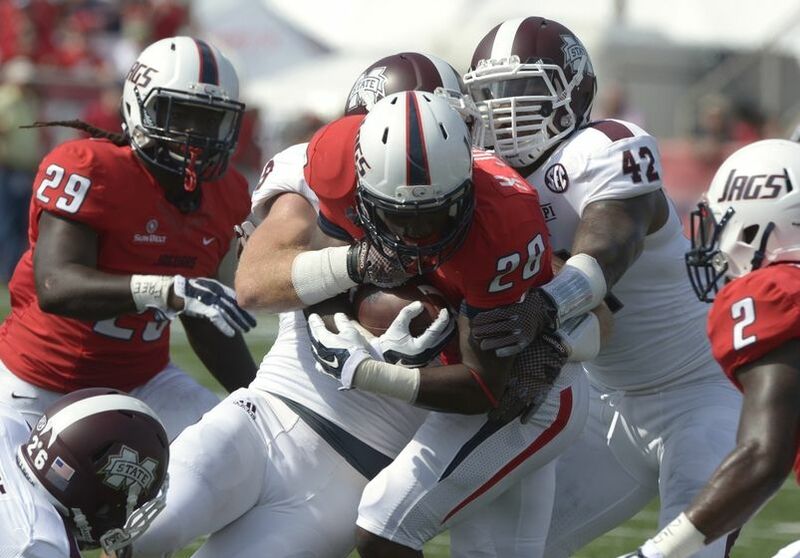 Holloway went for 6.5 yards per carry, with Shumpert finishing at 5.8 on two more carries. Monster linebacker Bernardrick McKinney may be gone, but Beniquez and Richie Brown return and were productive, albeit overshadowed, members of last season’s defense. Beniquez recorded 46 tackles, seven of which went for loss, last season, and the pair of Brown’s added in some coverage help intercepting a combined five passes and breaking up a combined five more. Zach Jackson will join the Browns in the starting lineup at linebacker. A strong pass rush has been a hallmark of Mississippi State the last few season, but with the loss of sackmaster Preston Smith there is no guarantee that that continues to be the case. Ryan Brown, I know how many “Brown”s can one defense have right?, and A.J. Jefferson will be the guys expected to step up and continue that tradition of strong edge rushers, but the best player on the whole defense may be lining up on the interior. Chris Jones, a former five-star recruit, had three sacks as a sophomore season and is a major breakout candidate in his junior season. This secondary was vulnerable to the deep ball last season, but it’s still probably a plus that its top five tacklers return. Corners Will Redmond and Taveze Calhoun led the way last season with 44 tackles apiece, and in coverage combined for four interceptions and fourteen pass break-ups. Kendrick Market (“K-Mart” seems an appropriate nickname, no?) and Kivon Coman will be your starters at safety again this season, but that won’t keep Deontay Evans from seeing plenty of playing time. These three might as well be listed as co-starters, because I can pretty much promise you that barring injury Evans will be on the field pretty much the same amount as Market and Coman. A step back seems inevitable for a team that had everything come together for it last season. Don’t misunderstand me. I am not saying that Mississippi State got lucky last season, per se, but I do believe that they capitalized on having a ton of experience and a star quarterback. This year, the Bulldogs will only have the benefit of enjoying one of those luxuries, and in the toughest division in college football that might be enough for a significant backslide in the record book. With Prescott, MSU is capable of beating any team on any given Saturday, and the teams that have to go to Starkville (LSU, Alabama, Ole Miss and Kentucky) should especially be on notice.